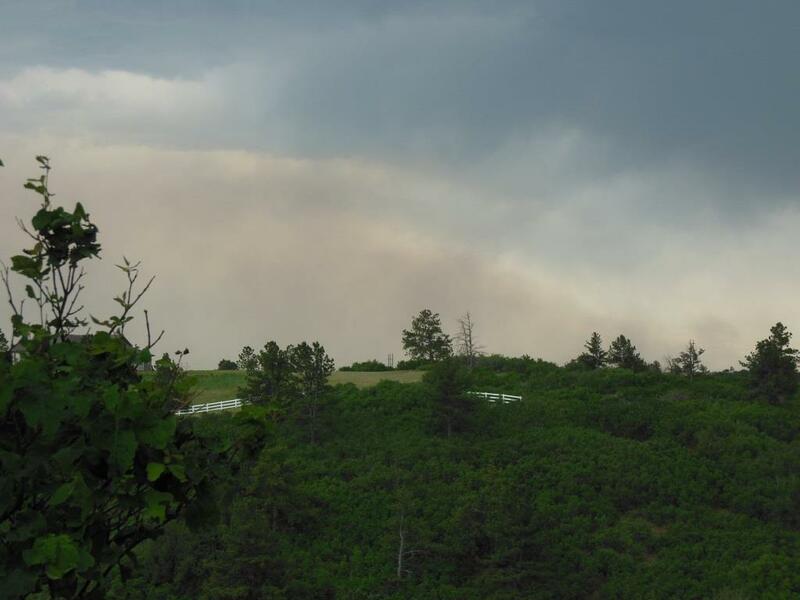 There are multiple wildfires burning in Colorado as I, Momma, write our blog post tonight. The Black Forest fire is the closest fire to Cliff House. The air is heavy, the shroud of smoke in the air and the acrid smell of burning pine trees fills us with a sense of unease. How close are the flames? Our senses are deceived; we are out of harms way, but there are 38,000 people evacuated from their homes now, and they have no idea when they will have any semblance of order in their lives. Our lives continue, there are chores to be done around the ranch, the animals need to be fed and watered, stalls need to be cleaned, but in the back of our minds are feelings of sadness for those who have lost so much. Strangely, our animals are not affected by the smoke or the smell of the fire. The strong wind makes them restless as the wind always does, but our routine has continued on and to them their lives are secure. This entry was posted in completely unrelated and tagged animals, ranch life, wildfires. Bookmark the permalink. Wow! I did not know how close that was to you guys. Praying that it gets no closer to you and that you are safe. Thanks for sending good thoughts our way! It’s 100% contained now, and despite how close it was, we were never too worried. There is quite a bit of grassland between Black Forest and us, and it’s easier to fight fire in the grass.